Migraines and headaches seemingly come out of nowhere for no reason and have the potential to cause massive disruptions in your daily life. It can keep you from playing with your kids, going to work, or just getting out of bed, period! Lights, sounds, and even smells that would typically go unnoticed can cause you terrific pain and discomfort. While some of the pain is dull and bearable allowing you to limp through your day, research shows that up to one in seven Americans suffer from a migraine or a severe headache in some form each year. These ailments are the number one reason that individuals seek treatment from a medical doctor either in outpatient care or the emergency room. In 35% of those visits in 2010, opioids were the medication given to alleviate the problem. Now, there is an opioid addiction crisis that is sweeping across the country. People from all walks of life are losing family members to the powerful drugs and their side effects. That’s why there have been recent increases in the number of people that seek out non-invasive, holistic forms of treatment for various health conditions. Instead of running the chance of getting conventional medical care and falling into the pharmaceutical trap, individuals are researching and implementing massage therapy, chiropractic care, acupuncture, and other forms of treatment to get relief from pain in particular. One of those methods, using essential oils, has seen a vast increase in usage over the past years. Learn more about how using essential oils for the treatment of migraines and headaches works. Also, discover which ones you should be using and the plethora of options for forms and applications. You can find a route that is best suited for you and makes you the most comfortable. Do Essential Oils Provide Relief For Migraines And Headaches? If you’ve never whipped up any essential oils for migraines recipes in your kitchen, you may be like many of the other individuals out there that are a bit skeptical about the whole idea. What can applying some kind of greasy oil to your body do for the pain that is causing you such agony? It seems a bit silly if you’ve never done it before probably. Before running out and buying up all the oils you see on the herbal store shelves, you should be aware of the effectiveness of this kind of treatment and which oils in particular you need to stock up on. There was a meta-analysis performed after 12 studies were completed on the effectiveness of aromatherapy and essential oils for the treatment of pain including acute, inflammatory, and chronic types. The results showed that essential oils are a successful treatment option when it comes to alleviating these undesirable health issues. Just like with prescription drugs and other forms of care, not everyone is going to have the same kind of reaction. Every person’s body is different, and each will respond in their own way. It’s up to you to determine which essential oils work for you and in what kind of application suits you best. 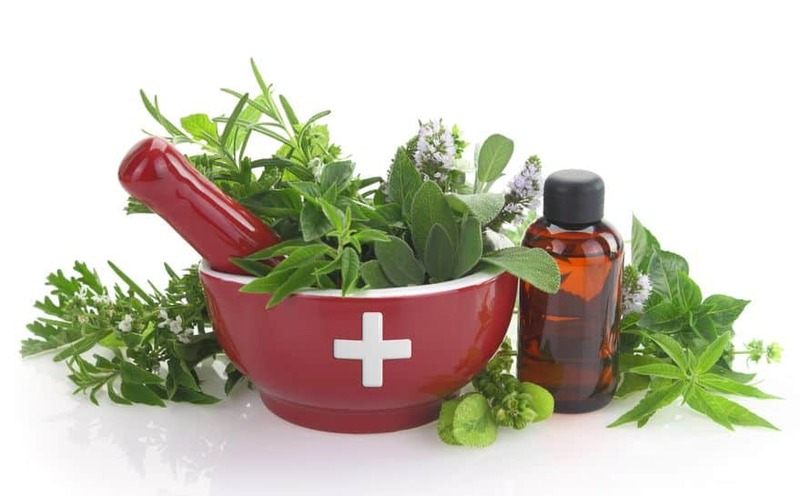 In some cases, you may have to combine your essential oil treatments with other conventional forms of care like what is available at Better Health Chiropractic in Wasilla and other chiropractic offices around the country. If you’ve ever been curious about essential oils before, you might have started looking into them a bit only to discover that you quickly became overwhelmed. There are over 90 different kinds of oils on the market today, and each one comes with its own list of health benefits. It takes some serious research and understanding to know what you need for which scenarios. 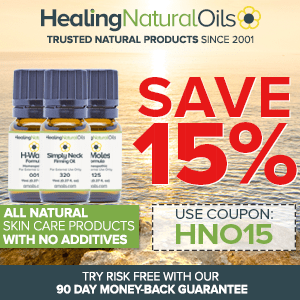 Those that know all there is to understand about the oils, their uses and aromatherapy have put their time in because they care about this natural approach to relief instead of working with the much more dangerous prescription drug option. Each one has its own unique smell and purpose. The short descriptions listed aren’t all that each of these oils can do. You could find several page description on most of them pertaining to what exactly they are beneficial for. Some of them can be blended to get a more potent recipe. 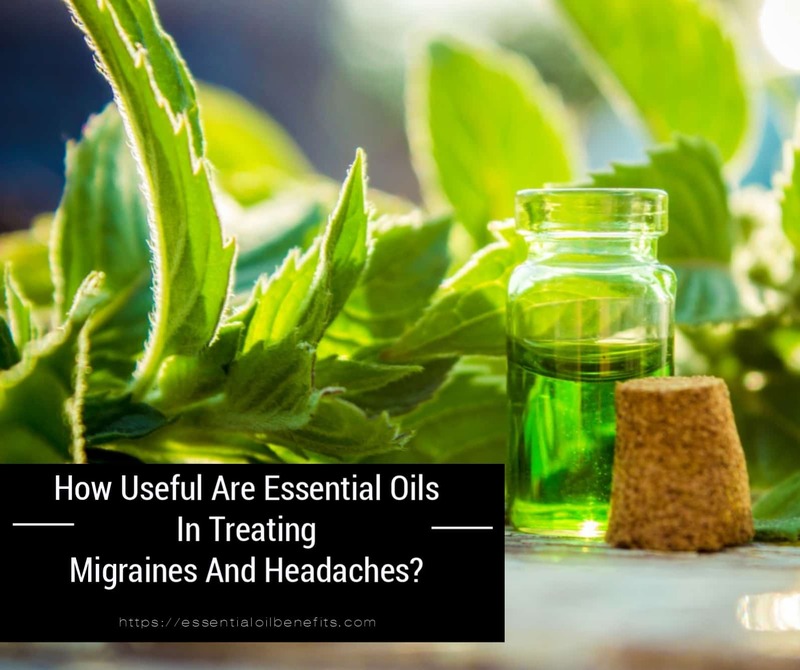 When thinking about treatment for headaches and migraines using essential oils specifically, there are five main EOs that people most commonly use because they have each proven to be effective. Peppermint is considered to be the most effective essential oil used for the treatment of headaches and migraines. Mint plants have been used for thousands of years for several different health purposes including indigestion, colds, and other conditions. Individuals generally apply essential oils for migraines recipe for tension headaches, migraines, and other painful symptoms. There is a limited amount of research surrounding peppermint for this use, but what has been done points to the idea that it is useful. Lavender is most often used for the treatment of stress and anxiety. However, with the relaxation benefits that it is said to have, it can also help a person get pain relief from headaches and migraines. It is known to have anti-inflammatory properties. Research suggests that it is best applied in the afternoon or evening. Lavender has been proven effective for some for the treatment of headaches associated with allergies as well. The pressure in the sinuses and nasal passages lead to sinus and tension headaches. The scent of eucalyptus oil will clear out those passages providing a reduction in symptoms associated with blockages in those areas of the body. Eucalyptus also has anti-inflammatory properties and has proven to lower blood pressure in some studies. Rosemary is another oil that produces a calming effect in individuals that rub it directly on the temples. 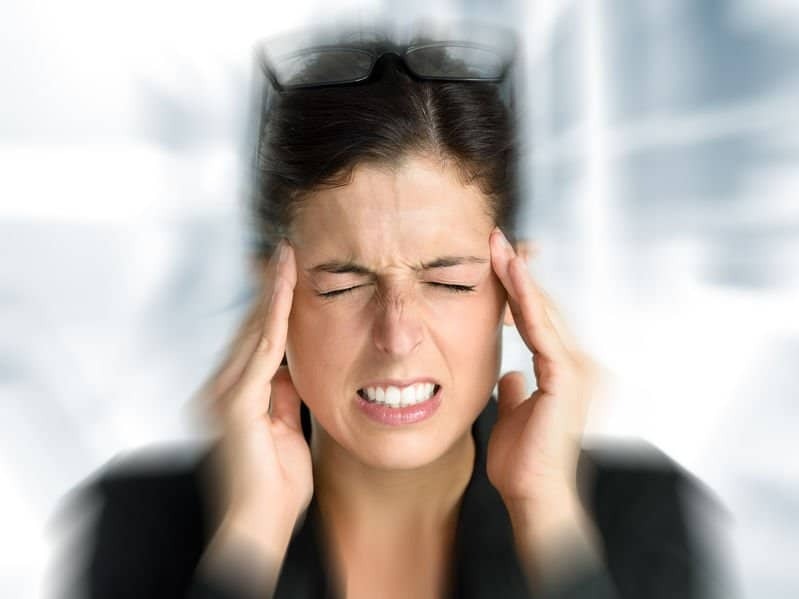 Headaches and migraines are frequently the results of joint pain and muscle tension. The rosemary will relax the body and allow you to release tension leading to the relief of pain. For headaches caused by stress, rosemary works best when combined with lavender oil because it reduces stress-causing cortisol levels. If you’re someone that drinks tea, you’ve probably consumed chamomile tea at some point in your life. It is known to have relaxation properties that many people enjoy at night before turning in for the day to get a better quality of sleep. The analgesic, anti-stress, and anti-inflammatory properties of the oil has proven to be effective in some dealing with migraines and headaches. Headaches caused by stress and anxiety are exceptionally responsive to chamomile oil applications. I prefer roman chamomile for sinus headaches. Topical application – blend with a carrier oil and apply directly to the affected area of the body, i.e., temples, forehead, back of the neck, behind the ears. Inhalation – breathing in through a diffuser, dry evaporation, steam, or in a spray. Gargle – mixing a few drops of oil with water to mix around in the mouth without swallowing. In your bath – absorption of the oils is possible after they disperse in the bath water; inhalation can also take place through the use of oils in bath water; cream milk, bath salts, or carrier oils can be used so the oils dissolve entirely into the water. Compress – oils blended with carrier oils are put on a dressing like a washcloth and then held over the area where there is discomfort felt. Massage – oils combined with carrier oils can be used as massage oils over most parts of the body for pain relief. Regardless of what mode of transport you use to get the essential oils into your body, you should never use them at full strength. These products are very potent, and without a proper carrier oil can cause adverse side effects. Carrier oils include coconut oil, olive oil, grapeseed oil, avocado oil, jojoba oil, and sweet almond oil. Lavender is one of the only essential oils that is considered safe to use in an undiluted form, but I would recommend you do a test patch before using it neat. 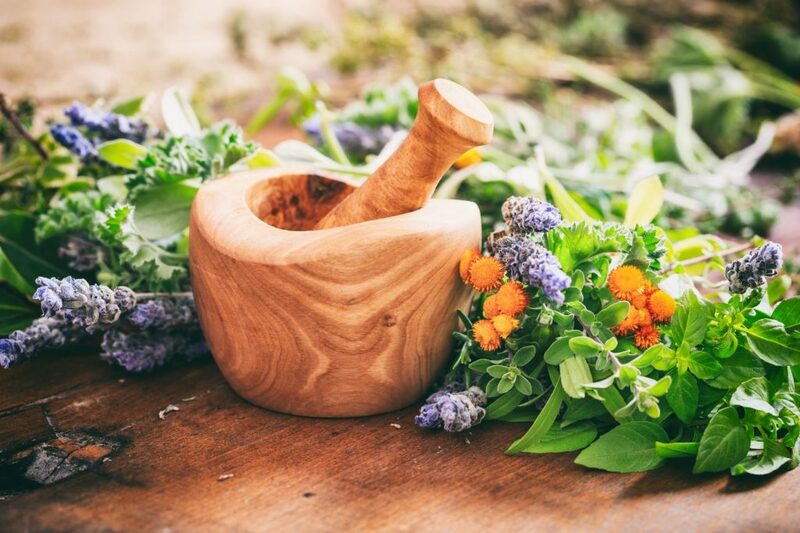 Even though people use essential oils because of the idea they are safer than other medical treatment options, there are still risks and warnings that should be recognized before implementing their use. There should never be any reason to take essential oils internally for the treatment of headaches or migraines. There are only a few specific oil blends that are safe to take orally, and when they are being administered that way, it should be under the direct care and supervision of a qualified essential oil specialist. The oils should never be rubbed directly on the skin without first being diluted with a carrier oil. Doing so can lead to skin irritation and other conditions especially when application occurs for an extended period. Oils, even when diluted in carrier oils need to be kept away from the eyes and all mucous membranes to prevent irritation and injury. This is very important to keep in mind if you are applying oil blends on the forehead and temples for migraine and headache pain relief purposes. Some oils contain citrus properties that shouldn’t be applied before you’re going to be exposed to sunlight or artificial UV rays. Doing so can lead to burns as these types of oils are photosensitive. Inhalation shouldn’t be done for longer than 30 minutes and only in a well-ventilated area. To keep yourself safe when using essential oils, you should consult with an expert on the topic before administering. Some oils can have adverse reactions when combined with other medications or ingredients. You can also research essential oil use on your own extensively if you are interested in their continued use as a health care option. At the chiropractic doctor’s offices around the country, the professionals working there know how important it is to take a multi-faceted approach to healthcare. Unlike what happens in medical doctor’s offices, chiropractors work at treating the body as a whole instead of just the individual problem. Many times, when you visit a family doctor, you will be given a medication to cover up the symptoms of the ailment you are dealing with. Then, when you stop taking the drugs, your problem comes back. Sometimes it’s even worse than what it was when it started. When you use essential oils for headaches and anxiety and visit a chiropractor regularly for adjustments, you will quickly begin to see improvements in your pain levels. Because these doctors work on a complete body wellness treatment regimen, your mood will boost, you can relieve anxiety and depression, and a plethora of other issues can all be cleared away at the same time. It’s estimated that some 35 million children and adults make appointments with chiropractic doctors annually. 95% of the individuals that seek out treatment say that it has helped them and 95% say they would return if they have pain issues in the future. Many chiropractic doctors work with massage therapists and aromatherapists that can recommend essential oil use for a variety of health conditions. They will provide you with the care and treatment you need while in the office and also with advice on how to make further improvements at home with the integration of essential oils for headaches and migraines. Much appreciated contribution from Dr. Brent Wells, D.C.
Is there a way for me to print this article so that I can put it with my essential oil files? Use the print icon on the top right hand side of each post. But aside from chiropractic, I am a big believer in essential oils, herbal teas and herbal remedies and exercise as well as massage. I do a lot of self massage with oils and am pretty good at massage on my wife as well. I cure a lot of headaches with peppermint oil and body aches and pains with my very own pain rubs. Sure, I also am in love with essential oils and their healing benefits – they are so natural and effective for various ailments. I’m done with chiropractors. The have injured me and especially my wife before several times. I’m pretty close to believing that chiropractic manipulation just may be quackery. The main reason I say this is because they never cure anything. Their treatments are all temporary fixes, and they keep milking that fact. If you go to a chiropractor to have a problem delt with you may be going back often for the next tweny years. Why? Because their treatments often bring quick relief but no lasting effect. I know because I’ve done that with not one but several different chiropractors. Belive me you’ll get better results for your aches and pains from a psychiatrist. It appears your experience with chiropractors was not so great, in fact not great at all. Appreciate your honest comments.